“If you were starting over with homeschooling what would you do?” This question appeared on my phone in text message form, from a friend who is contemplating homeschooling her five-year-old this fall. Reading her message took me back in time. A flood of old feelings came rushing back. I was in her shoes five years ago and I immediately understood what she was going through. 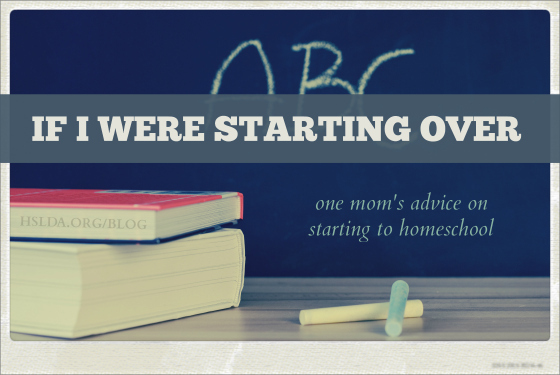 When you asked what I would do if I were starting over with homeschooling, I immediately remembered feeling overwhelmed. I wanted to start well. I wanted to lay a good foundation and it seemed like a daunting task, especially since I already felt exhausted taking care of preschoolers all day. I remember expressing my feelings to other people. Some older homeschool moms told me, “It’s just kindergarten.” They were trying to help me feel better and not be stressed. I do believe that it’s nearly impossible to mess up kindergarten. That’s the good news! However, I do think, especially starting in first grade, it’s really important to focus on the cumulative subjects. 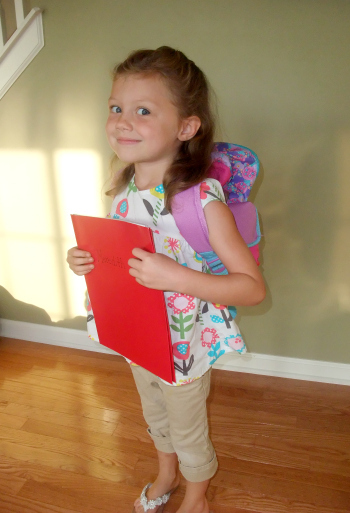 So many other homeschoolers are teaching world history and human anatomy to kindergartners. That’s great! But don’t get bogged down trying to teach all of that stuff, even though it’s interesting and exciting, to the neglect of the basics. If you really focus on reading/phonics and mastering math facts, you are laying a really good foundation. Those are cumulative, after first grade especially, and you will end up doing remedial work later on if there are holes with those. Also, an older mom told me to focus on character education. I did this and am glad. But I wish I’d focused more on getting the kids to be better listeners and more attentive. With younger siblings around, the older two (especially one of them) drive me crazy when they don’t focus. Sometimes I feel like a circus is happening alongside me when I try to read out loud. I would try to lay a better foundation with good listening skills. Kids should also be encouraged to be curious, creative, and appreciate excellent work. Read out loud a lot. When you are tired of reading out loud, play audio book CDs in the background while your kids play. This will give them rich vocabulary and language patterns to be more articulate and to be better writers. Young kids absorb language really easily and this is a great time to capitalize on that. I would join a support group. Find a group so that your kids can have some enrichment and you can make some friends who will encourage you when times are hard. This will also help you to find people you respect who are also homeschooling to get advice from them. Having said this, you simply cannot constantly compare yourself to others and be successful. You have to decide the best game plan for your child and stick with it. Along the way, you will either add things to your repertoire or take things away that are not working, but don’t let what other people are doing affect you too much. No one is doing everything, although it will seem like it sometimes. You are setting yourself up for failure if you overly compare yourself with other people. Take advantage of this time when your kids are young and you have more discretionary time. When they are older the academic load will be heavier and they will be involved in more extracurriculars and more projects. There will be a lot less time to explore nature and play and do creative stuff, baking projects, visiting museums, leisurely walks, etc. Make good memories and do what you love and what they love. Take time. Enjoy the time, as much as possible. Hope this helps! Blessings on you, my friend. Photo Credit: First photo taken by Krzysztof Puszczyński, graphic design by Charity Klicka; Second photo taken by Amy Koons, CAP: My oldest daughter’s first day of homeschool kindergarten in Sept. 2010.